Estate movers administer a much needed service to clients providing peace of mind and quality service. When a loved one passes away the mover will carefully pack up and distribute their possessions to various locations. Estate moving experts will organize and help categorize all items to be moved when an estate is to be divided amongst family. Our movers can help you with small or large estates. All items will be professionally packed or crated, and handled with the most delicate care. Most items can be moved or shipped locally or nationally, based on the mover. Professionals will help you decide where your possessions need to be distributed to. They will also help with sending things to an auction house or to a charity of your choosing. Sending unwanted possessions to auction can be profitable and the right decision for you and your family, if no one can take all of the lost loved ones belongings. Let our professionals help make these decisions a little easier for you, we have years of experience and understand the magnitude of what your family is experiencing. Estate moving can be emotionally difficult time, and reputable movers will understand if you lose composure and need time to make decisions. Our moving professionals will provide premium packaging, ensuring each of your loved one’s possessions will arrive on time and in its original condition, after shipping. All of our packing processes takes place inside the home to insure no weather damage or moving damage is done to the items. Complimentary shrink wrapping is provided at no extra charge and adds to the safety of each individual item packed. Downsizing to a smaller home or into a retirement home can be much easier with the help of a professional estate mover. We can help you make decisions on what to move and what to get rid of, based on the amount of space you are moving into. Leave the details up to the professionals, is a motto we like to offer clients to give them the most relaxed moving experience possible. We offer downsizing ideas, but the final decisions are made final by you. Having to relocate for a job or a personal reason? Estate movers can help plan all your moving needs. Having to relocate can be a lot of work, especially if you already have to pick up a new job, move your family, and take care of your home services. Let us help you make such a big job feel a lot less stressful. We can help with moving you across the street or all the way across the country. 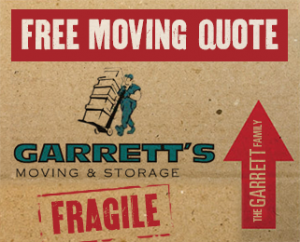 Free moving quotes are available by calling 972-487-5843 or by filling out our convenient moving quote contact form online. This entry was posted in Estate Moving and tagged estate. Bookmark the permalink.